I said last year that I would endeavour to read more non-fiction this year, and I certainly feel I have done that. I’ve stuck, however, chiefly to education-related non-fiction. I’ve tried to cull my list down to ten fiction and ten non-fiction, as not even my immediate family could be trusted to read beyond that. Roxane Gay: Difficult Women: I picked this up in a bookshop when on holiday and it is the longest I have ever been unable to put down a book prior to buying it. A series of phenomenal short stories. Hilary Mantel: Bring Up the Bodies: for an unknown reason, possibly related to its weight and the length of time I had to carry it around for, I didn’t enjoy Wolf Hall. I now need to re-read it, because Bring Up the Bodies evoked that world of old political intrigue so convincingly. Meg Wolitzer: The Wife/The Interestings: I can’t decide which; don’t make me. I’d read no Wolitzer until this year; both of these have stayed with me – the former for its incredible twist, the latter for the characters I am still thinking about. Zadie Smith: White Teeth: Smith is in my top five living authors, but I’d not enjoyed this when I read it while at university. Thank goodness I re-read it this year; there was just so much I’d missed the first time around. I’ve grown into loving epics that span generations, so this was a perfect read for me. Amor Towles: A Gentleman in Moscow: Matt Pinkett recommended this on Twitter and again it is one that has haunted me (in a good way) since reading it. A fascinating perspective on the Russian revolution and one man’s journey through it, with an almost ‘magical realism’ element. Sally Rooney: Conversations with Friends: This is a strong contender for ‘book of the year’ for me. I’m somewhat biased, because I too went to university in Ireland, and there’s nothing quite like recognising first hand where characters are in the world. But the complex, believable relationships and starkly beautiful writing style make this a firm favourite for me. Nathan Hill: The Nix: I rationed myself three days on a beach holiday to crack through this, messed up my reading schedule (yes, you read that correctly), and ended up with this ‘to begin’ on an overnight flight. I both started and finished it on the flight. An epic American tale spanning generations and warmly human. Again, thank goodness for friends who read, especially Dani Quinn, who only seems to recommend books I will love. Alain de Boton: On Love: Second contender for book of the year, this was such a clever little book that was spookily accurate about relationships and brought you from start to finish without really investing you in the characters – almost a clinical look at human psychology, told through story. Wallace Stegner: Crossing to Safety: Stegner takes the friendship between two couples and tracks it back over the decades, using a few key events as focal points. I loved all the characters so much. If ever there was a book that made you think that language can never fully express meaning, this is it. Peps McCrea: Lean Lesson Planning: I also loved Memorable Teaching. Peps makes big ideas feel easy in his tiny but mighty books. Hockman and Wexler: The Writing Revolution: I wrote about this here – although there is so much more I’d like to explore with this, it has already had a huge impact on my teaching. James M. Lang: Small Teaching: I wrote about this here – I loved this book for its clear explanation of complex cognitive science, along with the fact that it introduced me to a few concepts I’d not come across before. Craig Barton: How I Wish I’d Taught Maths: I wrote about this here – I adored this book, and it has been invaluable in working with the Maths team at my school to work on curriculum and lesson planning. Leonora Chu: Little Soldiers: I wrote about this here – a fascinating insight into another culture and another school system. Marshall Rosenberg: Non-Violent Communication: I wrote about this here – this really made me consider what we do with our ‘edge-case’ kids who seem impervious to systems, but also how we use language to communicate with all our children. James and Diane Murphy: Thinking Reading: I think this is the book I have returned to most this year. 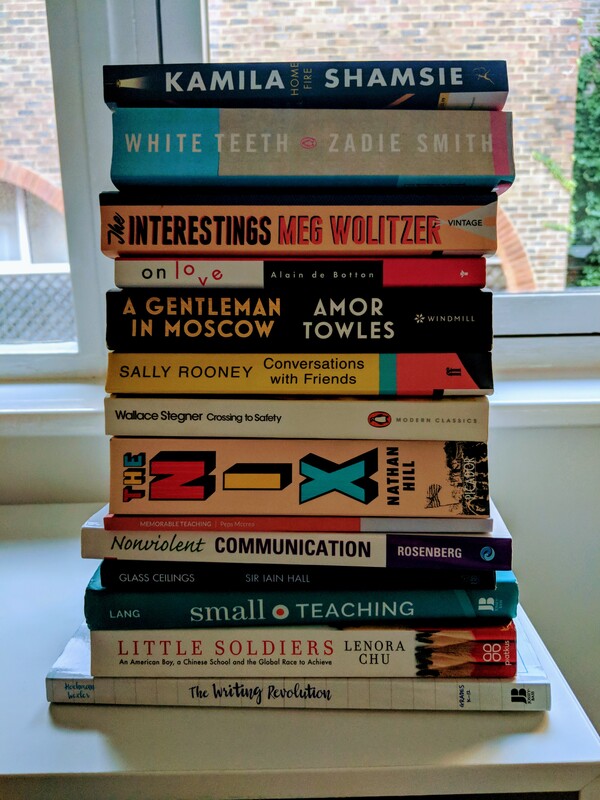 On reading the immortal words – that ‘reading is the entitlement of every child’ – I bounced into my Head’s office unannounced and she responded by making reading a core priority for the school this year. Alex Quigley: Closing the Vocabulary Gap: This wins the prize of ‘most discussed in line management’. The Head of English has been working on putting some of Quigley’s advice into practice, and I think it is going to have an enormous impact. Iain Hall: Glass Ceilings: I wrote about this here – this book took me back to my roots, reminded me why I do what I do, and helped me out of a dark night of the soul professionally. Maryanne Wolf: Reader, Come Home: I wrote about this here – I was absolutely floored by some of Wolf’s analysis. This was the book that made me re-think how I read. And with that in mind, some reading resolutions for 2019. I’ve learned from Wolf that I don’t need to feel so guilty about reading fiction, but I do need to regret time spent on my phone. I could have read so many more books if I’d had a little bit more willpower. I’ve deleted nefarious, time-wasting apps from my phone’s home screen (so when I unlock my phone now I think: why am I here? ), downloaded the app ‘Space’ to track screen time, and resolved to be more mindful next year. That said, I probably do read a little too much. I’m hoping to spend more quality time with people I like and the dog in the new year, and get more balance away from a leisure time that is 95% me reading on my own. Books not pictured: those currently out on loan. I knew I had to read this book when I heard Doug Lemov endorsing it. Reader, Come Home sells itself as a portrayal of the reading state of the nation. It is really about the state of humanity. 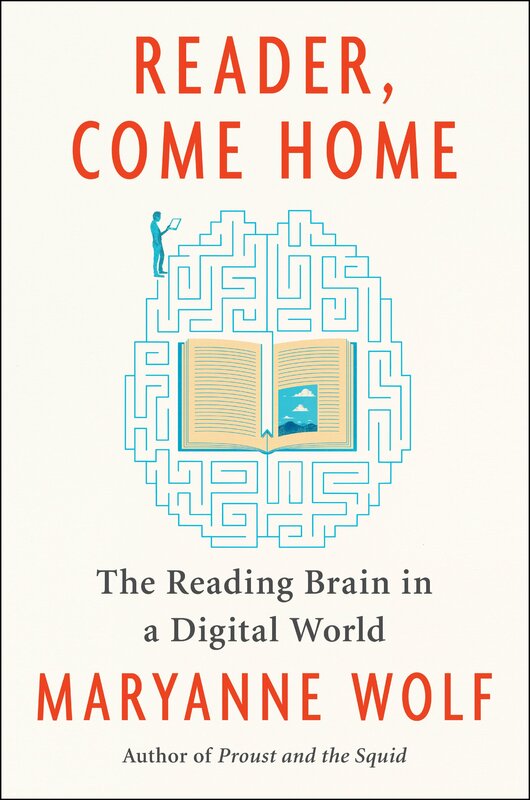 The author points out that the Ancient Greeks were concerned that rising literacy would fundamentally change people’s ability to remember, and that they weren’t wrong: the rise of reading did change the way our brains worked, making memory weaker, and remarkably rapidly. So today, with the rise in digital devices, both the way we read and the way our minds work has shifted. But are we worried about the right things this time? Our fears seem centred around the fact that more children (and adults, truth be told) are not reading… But they are. In fact, we are reading more than ever before: the author quotes studies that reveal we are reading around 100,000 words a day now. That’s a short novel, every single day. But what should be cause for celebration is in fact cause for concern, because the way we are reading is so dramatically different. Wolf quotes a memorable speech by Barack Obama where he said that information has become ‘entertainment rather than empowerment.’ Moreover, our reading is ‘chopblock,’ not continuous, and situated within a technological world where ‘cognitive overload’ is ubiquitous. To take in all this information, ‘skimming’ has become ‘the new normal.’ We focus on the surface rather than digging deeper. And this has a profound impact on the way we process information. I have often felt I read too much fiction; indeed, my aim this year was explicitly to read more non-fiction. That was before Wolf articulated to me (and I do feel this is personal, as she writes the book explicitly as letters to the reader) the benefits of fiction. For Wolf, we understand others and can show compassion and empathy through reading. Reading connects divergent cultures, so we have a more in-depth understanding of those different to us. But this only happens when we read with ‘close attention.’ This kind of deep reading requires ‘analogical reasoning’ and ‘inference’ to uncover its many layers. In praise of beautiful prose, Wolf reminds us that beauty in words holds our attention so we focus on what lies deeper. Yet in the modern world, the prevalence of digital devices results in ‘continuous partial attention’: we live in a ‘world of distraction’. This is not conducive to deep thinking. As well as cycling through the argument, familiar to readers of Lemov and Murphy and Willingham, that knowledge is crucial for deep reading, and that critical thought ‘never just happens,’ the author goes on to explore the impact on children of this way of processing words. Boredom in children is normal. But ‘post-digital’ boredom is a different kind altogether. Wolf says that this kind of boredom, rather than provoking creativity as the former can, ‘de-animates’ children. The constant stimulation of the screen prevents them from experiencing true, tranquil tedium. We know from our own adult lived experience how addictive devices are; studies abound to support this, but are barely needed. Of course children are much more vulnerable to this. And when they are developing their cognitive abilities, this has a devastating impact. The multiple stimulants on devices split children’s attention, and studies show that texts read on devices compared with traditional paper lead to weaker comprehension even if no other applications are running. The mere expectation that the device will have multiple purposes diverts their attention, ability to focus, and thus weakens their ability to understand what they are reading. Moreover, the information overload of our reading society makes it much harder for children to build background knowledge. With so much information and so little time to process it, this threatens the development of children’s attentions and working memories. There is so much more in this book, and I would urge everyone human to read it. It urged me to reflect on how I feel when I read a novel compared with how I feel when I read Buzzfeed. The guilt I used to feel for losing myself in a novel will be banished from my life. Instead, it will be my phone that I must lock away; my laptop I must periodically lose. Fiction is vital. Wolf asks: ‘What will happen to young readers who never meet and begin to understand the thoughts and feelings of someone totally different?… It is a formula for unwitting ignorance, fear and misunderstanding, that can lead to the belligerent forms of intolerance that are the opposite of America’s original goals for its citizens of many cultures.’ Far from an optional extra, deep reading is the stuff of life itself. My prize for ‘person of 2017’ goes to Sarah Cullen: colleague, friend, flatmate and so much more. She recommended about half of the below selection for me to read. This one is aimed at KS3 readers, and I’ve told every teacher I know about it. Told from the perspective of a year 6 boy, it evokes the way children can do bad things just to be in with the ‘cool kids.’ A wonderful cautionary tale that every year 7 should have read. I’m so lucky to be surrounded by reading colleagues. Dani Quinn has to be the best-read Head of Maths in the country (contenders on a postcard please), and this was a very thoughtful birthday present from her. I adored it: it reads like a university lecture made accessible; a contemplation of literature and art which feels both gritty and realist while at the same time intellectual and whimsical. Another recommendation from Sarah, this is most definitely the reading equivalent of Ready Brek – warming, unchallenging, but somehow with a grain of good in there too. It is about a woman who loses her memory, and is learning how she has changed over the past 10 years. It’s a great one to prompt reflection. I read it partly on a train packed with hammered football supporters, one of whom said: ‘what’s that? Oh – hardly great fiction is it love?’ Well, perhaps no; but it was a really comforting read. And sometimes that is exactly what we need. I’ve loved everything Zadie Smith has written, and this was no exception. I especially loved the trajectories of two friends and how their lives went in such wildly different directions. It was uncomfortably familiar to read the way you want to preserve that friendship for the sake of how long it has gone on, but still find it almost painful to persevere in it. The ending was surprisingly philosophical. My favourite book of 2017, Barnes’ novel follows the fictional life of Shostakovich, drawing on real examples of his life dogged by the Soviet authorities. A horrifying sense of what life in an authoritarian state looks like, combined with beautiful observations about classical music. An old line manager of mine told me to read Hamilton’s ‘Twenty Thousand Streets Under the Sky,’ and so I knew I would love ‘Hangover Square.’ The two books are quite unlike one another, however; ‘Hangover Square’ is a comedy of indecision and inaction. It is worth reading this entire book for the final two or three lines which are just superb (do not skip to the end, though – they make no sense out of context!). Another Cullen read: I adored this tale of a young woman trying to make her way in a new city, new career, and with new loves. Melissa Bank has a wonderful way of making you feel like you know every character of her books intimately, including the ones who are barely in the book at all. Bank has this marvellous way of dropping in the perfectly chosen detail to make you feel like you’re reading a true story. Stegner’s style is like Steinbeck meets Walt Whitman: a roaring story told in beautiful prose. This book felt like a dreamscape, but it had moments of harsh clarity. This book also felt enduring, like the best classics do – it contained eternal truths beautifully phrased. I’m not sure why modern books don’t usually do this. A familiar-feeling account of modern life for a girl, following her from school to adult life, and full of astute observations and ‘this is so me’ moments for female readers. A fun read, but one which stays with you. Set in New York at the turn of the century, fact and fiction collide in this gorgeous account of all of human life. Doctorow draws the central characters with such depth and emotion, and the novel feels so realistic I looked up pretty much every character after reading to be absolutely sure which were drawn from real life, as they all seemed so believable. My colleague Lia Martin told me to read this when I was feeling low, and it absolutely restored my mind. The story of a (very well-read) surgeon who is diagnosed with a terminal brain tumour doesn’t sound very uplifting, but I promise you, through the tears comes a sense of hope, joy and purpose. Receiving feedback is one of the hardest things about being human, whether it is from friends, colleagues, or partners. This fantastic book considers the best way to deliver feedback, and the best way to accept from it and learn from it. All leaders in all organisations would benefit from reading this. A colleague from a past school recommended this, and Chris Fairbairn, Head at Totteridge Academy, has used this with his leadership team to create an astonishing pace of change in his school. The simple message at the heart of this book is to build a great team, create clarity around aims, and communicate (and over-communicate) that clarity; but the book is worth reading for the fine grain detail. In 2017 I went off the rails a bit reading-wise. Before, I was very strict with myself in reading one children’s book, one adult fiction book, and one non-fiction book. In 2017, I pretty much ‘comfort read’ for the entire year. Let 2018 be the year of getting back to a more healthy regime! ‘Teach Like a Champion,’ by Doug Lemov, changed my teaching profoundly: it was the most practical and helpful piece of writing I had ever encountered, and transformed my classroom practice, giving me specific aspects to hone and improve. When I heard that Lemov had been an English teacher, it didn’t surprise me – in particular, in TLAC 2.0 there are several techniques which are especially useful for the English teacher. When I heard he was co-authoring a book on reading, I had very high hopes. ‘Reading Reconsidered,’ written by Lemov with Erica Woolway and Colleen Driggs, does not disappoint. With a nod to the poetic importance of literature (‘this book is about the enduring power of reading to shape and develop minds’), again, we have a manual for practice; specific things that teachers can do, day in, day out, to read effectively with pupils. ‘Reading Reconsidered’’s opening gambit is that text selection is key: in pages referencing Hirsch and Arnold, canon and cultural capital, the writers note: ‘part of the value of reading is to be able to read and talk about important books that almost everyone else has read.’ The great conversation of literature, intertextuality, ‘works only when pupils have read some texts in common.’ The writers extol the value of a common reading curriculum for all pupils, and warns us to select our texts carefully, noting: ‘a typical pupil might read and intentionally study forty or fifty books in English classes’ over their time in school and ‘these few books form the foundation of their knowledge of how literature works.’ If only there were as many as fifty texts! Such a sentence puts the demands of the new GCSE English Literature, with its four texts (I include the poetry cluster as a ‘text’) over two years into frightening perspective. To those who argue that canonical texts are unreadable by youngsters, the authors respond: we just need to get better at teaching them. The writers go on to isolate the ‘five plagues of the beginning reader’, looking at five challenges all readers face in encountering tricky texts, and how we can overcome these in our everyday practice. One example is using ‘pre-complex texts’ to prime pupils for the canon, such as children’s classics like ‘The Secret Garden’ which use challenging syntax but have child-friendly story arcs. The chapters on close reading are a must-read primer for all English teachers, going meticulously through how we should read closely in class, supplemented with specific questions designed to unlock meaning in complex passages. One key take-away for me was: teachers! Prepare to close-read! Annotate your text! It sounds blindingly obvious, but I know I’ve been guilty of sauntering into class, blank copy in hand, hoping for the best. Yet what more important preparation can there be for a lesson than our own annotation? The most revolutionary chapter for me in ‘Reading Reconsidered’ was that on non-fiction. It made me recognise how vital it is for pupils to read non-fiction alongside fiction to assist with their comprehension and to enable really excellent analysis: ‘reading secondary nonfiction texts in combination with a primary text increases the absorption rate of pupils reading that text’; ‘when texts are paired, the absorption rate of both texts goes up.’ Overall: don’t teach non-fiction as a separate unit, but rather interweave non-fiction texts into your teaching of literature, either with short, contextual glosses or in-depth historical study of the time period in question to deepen analysis. Though reading is this book’s chief subject, the authors do not neglect writing: ‘we are suggesting that pupils [should] write with more frequency and consistency as part of their daily work of responding to texts’. They recommend intervening at the point of writing to help pupils improve (no mention of lengthy, burdensome and delayed marking), explaining: ‘great teaching begins at the moment learning breaks down.’ ‘Writing,’ in this guide, also encompasses annotation, and again there is detailed advice for modelling these, with the goal of pupils eventually annotating autonomously. Again, though the goal is for pupils to read independently, we need to be aware that if they do this poorly they are ‘inscribing errors’ (and of course we know from Lemov himself that ‘practice makes permanent’). It is vital that pupils read aloud, as well as listening to great reading being modelled for them. In considering ‘accountable independent reading,’ the writers give such guidance as using short sections with a specified focus, or scaffolding pupil comprehension by using questions. Although the focus of the books is practical, with advice to be found on the specifics of vocabulary instruction and the dynamics of a classroom discussion, the underpinning voice here is one deeply concerned with children loving reading and doing it effectively. The voice of the parent in each writer is heard most clearly in the book’s dedication: ‘to our kids, with whom we have 16,000 more nights to read – not nearly enough.’ Foundational to this book is a personal and deep love of reading, for all the right reasons. 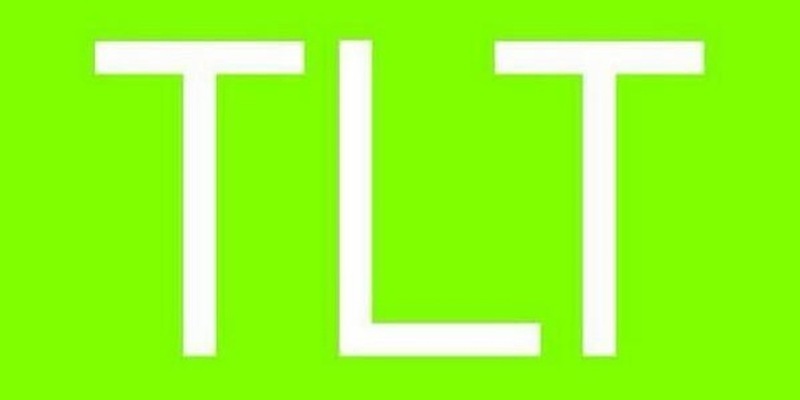 On 17th October, I travelled to Southampton for my second year presenting at TLT. I was talking about reading (not much new there), and, specifically, how to read. Reading, of course, is at the core of what we do as teachers; and not just as teachers of English. More and more in my new role, I’m coming to see that reading may be the only silver bullet in education: beautiful in its simplicity, obvious in its impact. The reality is that our strongest readers read the most, and our weakest readers the least: the exact opposite what we need to see to close the gap between our best and worst performing students. This is not only true in their home lives, but also in our classrooms. Anyone who has ever asked for volunteers to read (including: me; guilty as charged) is advantaging those strong readers, and further denying reading from the weakest. The gap in reading is not just a practice gap: it is also a knowledge gap. When we take our weak readers out of subjects to teach them reading skills, we are denying them that subject-specific knowledge that will enable them to make sense of a wider variety of texts. With the new strengthened GCSEs, students being able to read rigorous subject matter independently is essential. Of the three stages of reading, decoding, comprehension and fluency, I said the least about decoding, instead pointing people to the awesome Katie Ashford’s blog, where she gives plenty of great advice on how to deal with students who cannot decode. It is clear that too many students slip through the decoding net at primary school, and we at secondary school lack the expertise to bridge that gap. This is evident in my experience in even years 10 and 11; last year I taught a student who would auto-correct unfamiliar words, as she didn’t know how to decode and hadn’t been properly taught phonics. She would autocorrect so many words, she couldn’t then understand the sentence, so for example: ‘Alison leapt up bracingly from her meal’ she might read aloud: ‘Alison led up braking from her meal’, which makes absolutely no sense. Comprehension entails understanding what is written. Using Willingham’s examples from his excellent book Raising Kids who Read, often reading contains an inference gap: ‘Trisha spilled her coffee. Dan jumped from his chair to fetch a cloth.’ Expert readers automatically see how the first sentence impacts the second; novice readers might see these as two separate and unconnected events. And yet we are still persisting in believing our weak readers simply need more training in generic reading strategies, often withdrawing students from subject lessons to teach reading in isolation, and then wondering why their reading is not improving. In fact, the optimal way to close the reading gap is for students to gain a broad knowledge of subjects across the curriculum. @HeadofEnglish @jo_facer In some cases it is cruel to make students read in front of a large group of their peers. @JulesDaulby @bjpren @nancygedge @HeadofEnglish @jo_facer that's what I meant. DON'T force anyone who's unhappy to do it. Counterproductive. I welcome those challenges to this idea. It is all too easy to do whole class reading badly. Indeed, it is absolutely vital to consider the emotional impact of such a policy, and the way to make it work in your individual classroom for your children. Running a class where every child reads aloud is difficult, make no mistake about it. It depends on excellent pedagogy and the creation of a warm, safe environment. It requires constant vigilance and tight management. But, crucially, it is possible. Why read aloud with students, if it is so difficult? First, so we know they can read. I’ve heard of too many teachers at KS4 finding out their students can’t read to not put this top of my list of reasons. Next, so we know they are listening during the lesson – the knowledge you could be asked to read at any time undeniably focuses the mind. Also, reading aloud helps us as teachers to check for understanding, something impossible when students are reading silently at their own pace. But finally, because reading aloud is probably the most enjoyable thing you can do with a class. One recent example: when year 7 went on their ‘outward bound’ trip, I was the lucky teacher of history with three periods to fill for those ‘left behind.’ A mixed group of around 18 students of vastly differing ability, I didn’t want to press on with the planned lessons, but also didn’t have a bank of ‘rainy day’ history lessons as a first year teacher of this subject. In my desperation, I photocopied about 30 pages of Gombrich’s History of the World (recommended to me in the summer by both Daisy Christodoulou and Jonathan Porter) and threw together some comprehension questions. The first lesson was fine, but I was really concerned about the double: two hours of pure reading and writing. And guess what? It’s probably the best lesson I’ve ever taught. No joke – I wish someone had come to see it. These children were utterly, utterly engaged in a way I’ve seen only rarely, in the most remarkable teachers’ classrooms. They adored the stories, and their curiosity led to a wonderful class discussion and some impressive paragraphs. It was not always thus. Previously, I would use ‘guided reading,’ where my students read at different paces in groups, thus ensuring no misconceptions could be ironed out, and again advantaging those strong readers. Moreover, I previously did not read aloud well to students, as I have written about here. So, I was held back by my own low expectations, and it was the children themselves who set me on the right track: they wanted to read, and they seized that moment to show me they could do it. But how can we do it every lesson? Here, Doug Lemov has the best answer I’ve found with ‘Control the Game.’ I went through each of the components of this: be vague about how much children will be reading, keep the reading duration unpredictable but short at the outset, move swiftly to the next reader with limited words (‘Stacey, pick up’, or, in my class, ‘Stacey’) and take over and model reading of tricky passages. At the start of my time in a new school, I tweaked this: we did snake around the class, for two weeks in fact. What was lost in terms of students checking out and not following in this two weeks was made up for, I think, in that it set the expectation that every child would read in every one of my lessons. For unconfident readers, they got used to this expectation with the predictability. It also gave me two weeks to suss who was going to push back on reading, and deal with them individually. (Interestingly, my year 10 middle ability class proved harder to get reading than my year 11 set 7 class, who frequently bound into my room shouting ‘are we reading today miss?’) Only once the whole class was secure in reading (and only a sentence each time) did I move to selecting students, but even now they are only reading a sentence, though I am moving away from that. The implications of this kind of teaching are that teachers need to spend their planning thinking more about the questions they will need to ask students to ensure they have understood, along with which vocabulary students will struggle with and how they will gloss those words and check students have learned them. From the mechanics of reading I moved to the motivation: reading is highly emotional, and I shared methods I’ve written about extensively on this blog in the past to build a reading culture in a school, such as sharing one book, sharing reading lists and delivering reading assemblies. Once again, I would like to thank my warm and encouraging audience, who indulged me in my anecdotes and engaged with the ideas with gusto. Much love also goes to those who listen and challenge in the room and after: it is only through such thrashing out of the ideas that we come closer to being the best teachers and professionals we can be. The “Summer Dip”, or “Summer Slide”, is the term we use to refer to learning lost over the long summer break. It is a phenomenon almost every teacher, and many a parent, will be well aware of; however I wondered if students knew? Furthermore, I wondered if they knew that they could “beat the dip” by reading a few books? I decided to do some research, and from that research grew last week’s assemblies. I recapped the National Literacy Trust’s table with the cold hard figures: of students who read every day, nearly a third were achieving above their expected little. Of students who never read, over a third were achieving below their expected level. I then introduced the idea of the “Summer Dip”. Admittedly, most of my research is American-based, and so imagines a summer holiday which is, inconceivably I know, even longer than British schools’ ludicrously long holiday (6 weeks for any international readers out there). That said, I think obfuscating this worked well, as clearly students do lose learning over the summer, and my message wouldn’t have been as useful if I’d caveat-ed every statement to year 7 with “however, we should allow for the data being slightly unreliable because…” I find assemblies deal better in certainties. That said, this document does uphold the evidence that children make the most progress during the Summer term, and the least in the Autumn term. Terrifyingly, it also tells us that “In reading, nearly 40% of children go backwards between the end of year 6 and the beginning of year 7,” though this of course may well be a by-product of the expectations of teachers and modes of assessment changing between primary and secondary school. Nonetheless, anecdotal evidence tell us that, for most teachers, the student who is comfortably on a 5c at the end of the year does not usually begin the following year on a level 5. The scary American research puts the learning lost for students at between 2.5 and 3 months. Obviously, I opted for the latter, asking students to imagine that everything learned between April and July would just… Disappear. Terrified faces looked back at me. Now came the kicker: research, albeit research conducted in the states, has shown that reading as few as four books over the course of the summer can help to prevent the dreaded slide. Four books! Some students looked genuinely relieved, and I iterated my understanding that many of the students before me would read far more than four books over the course of the summer. But how? I showed them a map of the libraries, and shared the link to their opening hours. I explained that for building your own library (I think I put it: “for books you can take home with you forever, and hug them and love them”), the Oxfam bookshop nearest us sold second hand books for only £2.50 each; and the (admittedly slightly evil) online seller Amazon sold books for one penny, meaning that including postage you could have a book of your own from their for £2.81. I diverged for a couple of minutes from reading to share some ideas for staving off “achy hand syndrome” – you know, the first week back when you can’t even finish the date without it hurting (or for teachers, when the first set of books to mark takes an unreasonably long time). But then back to reading. To finish the assembly, I shared tailored recommendations for each year group for reading, which were also on a hand-out given to tutors. And for the final piece, I read the first page of one of those books to the students (some thing I have written about before and do weekly with my own classes). I will never grow used to the reverent silence of children when being read to. The power of the story is a beautiful thing. And the results? So far, so promising. My own children bounced up to me, proudly saying they liked the assembly and would definitely be reading four books at least over the summer. I hoped as much, given they have also had me banging on about reading to them four to five times a week. What I love, though, is the students I don’t know coming to talk to me about reading. It allows me to know a much larger proportion of the student body. I even had a student say she was going to see if she could volunteer in her local library over the summer, which was especially wonderful, and another student who raced straight to the library to take out Wonder, the book I had read to year 7 from. Why indeed? I went away and spent a couple of weeks pondering, thought of a few lame lines, and came back to admit defeat. Somewhat unadvisedly, I explained that I “had never really thought about why myself”, having myself “not thought things through and just chosen what felt right – that’s how I work.” Given that this person line manages me, admitting to my haphazard decision-making skills was probably an error. I’m nothing if not honest. I did English Literature A-level because I had to; I was compelled to read and question; it was the only thing I loved and was any good at. No thinking needed. Fortunately, I have a great line manager, who expertly guided me towards the light. I shared my clumsy “course outline” and “what looks good on your UCAS form” and he shook his head, saying: “what they really need is inspiration.” He referred me to this ad, suggesting that literature is about life: not the biology or the mechanics, but the human, and the emotional. I then showed my initial (lame) reasons for studying English Literature: universities rate it, it is more rigorous than English language, and many future careers await you. I then proceeded to explain that none of these are good reasons to choose to study Literature, drawing on the wisdom of Laura McInerney’s research showing that the idea of “facilitating subjects” is often not backed up by evidence. Despite few firm conclusions, I’d rather persuade my students to do three subjects they love and can achieve decent grades in, over any particular combination of subjects. We’ve all had that moment when reading when we suddenly acknowledge that our feelings, emotions and thoughts are not isolated and freak-like; we are connected to others in a tissue of shared feelings. I then returned to the initial poem, one of my favourites. 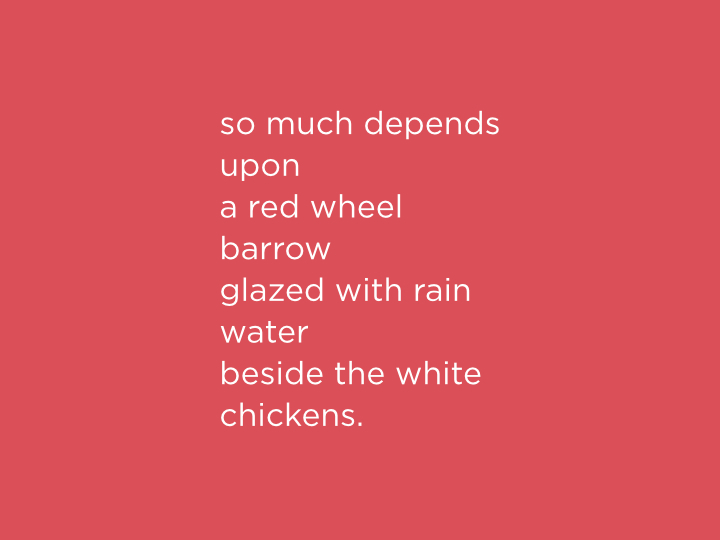 I asked students whether they thought it was a poem; opinion seemed fairly split. This worked well for me. If this writing were on a toilet door, or in a fortune cookie, would they think it was a poem? Heads shook. Then I asked: what if it was in a poetry book? Confused faces. William Carlos Williams calls this a poem. Some of you don’t call this a poem. Who matters more; the poet, or the reader? Or do neither of you matter? What about when the poem was written, or the cultural context? Was Williams trying to make a point about poetry? Or is the only aspect of importance the words themselves? If you want answers, don’t study English Literature; there are no ticks and no crosses. But if you want to question and debate and argue and never be sure, you’re picking the right subject. I closed the assembly by saying that if none of those arguments convinced them, I had one more: literature is beautiful. It makes you think things, and it makes you feel things. And I read Robert Frost’s “Fire and Ice.” This is actually one of my year 11’s favourite poems (I expressed to year 11 that I was delighted that someone other than me has a favourite poem, only to have another come up to me afterwards and exclaim somewhat angrily: “Miss, I have a favourite poem too!”), which is partly why I chose it. It is also a wonderfully complex piece of word mastery that even the science teacher I practiced saying it to minutes before the assembly began could appreciate its clever intricacies (I’m not saying scientists aren’t capably of being poets. But it’s good to chase cross-curricular opinions and attitudes).